Last night director Steven Spielberg held the world premiere of Ready Player One as SXSW and it sounds like it was quite an amazing movie-going experience for everyone in attendance! At one point during a climactic moment of the movie, the sound broke. A lot of people were joking that the movie was just so awesome that the sound system just couldn't handle the greatness. Now, I know there are a lot of people out there who aren't excited about this movie. I, for the life of me, can't understand that. The story that this movie tells is a love letter to geek pop culture and it's movie geeks dream! Anyway, you don't have to take my word for it. Here are a bunch of tweets from people who attended the screening and every tweet that I've come across so far has been gushing with positivity! It looks like Steven Spielberg has delivered a film that fans will be proud of and I can't wait to see it for myself! It’s the best Spielberg action since TINTIN, that’s for sure. Cast is good, the motivations are there beyond “I wanna get rich,” and the score is dope. See this early on in a packed house: it’s guaranteed to get a decent pop. READY PLAYER ONE is a big Trapper-Keeper stuffed full of smiles, Adventure, and heart. Ready Player one was a Fun and Amazing Film. Definetly brought my Inner Nerd out. And on a Side Note, FREAKING OPTIMUS AND GUNDAM!!!!!!!!!!!!!!!!! I am completely shocked but I really enjoyed READY PLAYER ONE. The pop culture references are often overwhelming but if you focus on the story and filmmaking, it's a completely solid adventure film. I pity the blogger who tries to do a "Complete Easter Egg" list. The film is set in 2045, with the real world on the brink of chaos and collapse. But people have found salvation in the OASIS, an immersive virtual universe where you can go anywhere, do anything, be anyone. The OASIS was created by the brilliant and eccentric James Halliday (Mark Rylance). When Halliday died, he left his immense fortune, and total control of the OASIS, to the first person to win three keys, unlocking the door to a digital Easter egg he hid somewhere in his seemingly infinite creation. His challenge launched a game that gripped the entire world, but after five years the scoreboard remained tauntingly empty…until now. An unlikely young hero named Wade Watts (Tye Sheridan)—under his avatar name, Parzival—finally conquers the first contest, instantly becoming a celebrity…and a target. Ruthless corporate mogul Nolan Sorrento (Ben Mendelsohn) proves he will stop at nothing to beat Wade and take over the OASIS, and suddenly the virtual stakes are all-too-real. Ultimately realizing he cannot win alone, Wade joins forces with his friends—now the High Five (Sheridan, Olivia Cooke, Lena Waithe, Philip Zhao, Win Morisaki). Together, they are hurled into a reality-bending treasure hunt through a fantastical universe of discovery and danger to save the OASIS. The movie stars Tye Sheridan, Olivia Cooke, Mark Rylance, Simon Pegg, T.J. Miller, Hannah John-Kamen and Ben Mendelsohn. 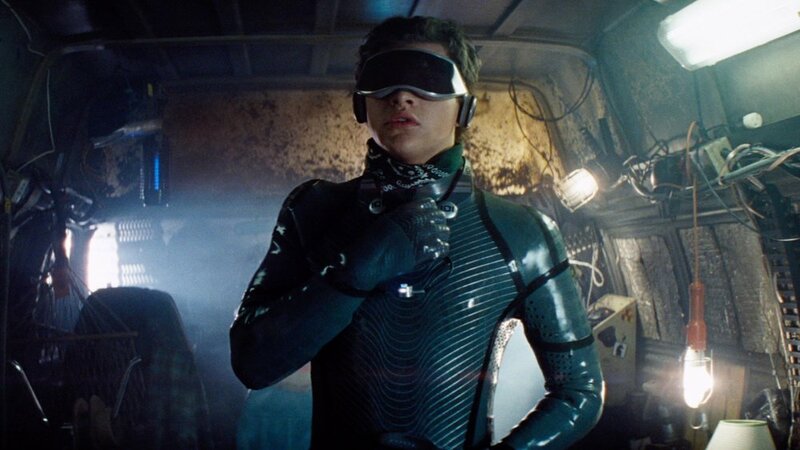 Ready Player One gets its game on when it opens on March 29, 2018.